We will assist you from the time of choosing the car model, color, finding the best Finance option that suits you. We will constantly keep you updated about your vehicle status until the delivery of the vehicle. 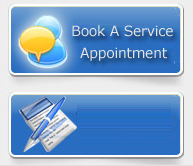 We are providing a comprehensive Service Package with lot of benefit to the customer. Maruti Extended Warranty has been specially devised to offer you extreme driving pleasure during the ownership of the vehicle. This program is run by Maruti Suzuki India Limited itself and hence it offers you the best protection against repairs. 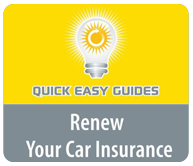 This policy commences at the expiry of the primary warranty period and the duration will up to w years. Can approach any dealer in the country for warranty jobs Dealer take the warranty decision, so no delay for the customer Total peace of mind, full replacement against manufacturing defect full labour free for warranty replacement. Better resale value even if the vehicle is sold before 4 years only nominal price for exrended warranty. Maruti has introduced wide range of genuine Accessories for different models for improving comfort and appearance. Easy ordering from a single source.